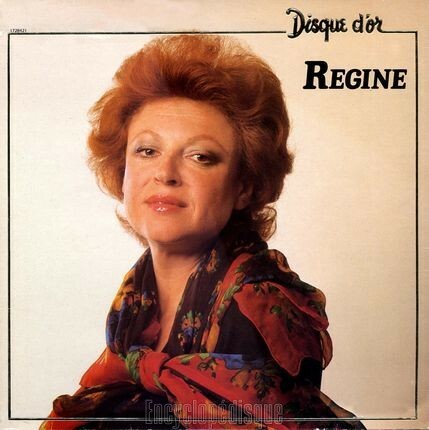 Régine Zylberberg, (born Regina Zylberberg, 26 December 1929) better known as Régine, is a Belgian-born French singer and night-club impresaria. She dubbed herself the "Queen of the Night". Régine was born in Etterbeek, Belgium to Polish-Jewish parents. and spent much of her early life in hiding from the Nazis in occupied wartime France. It was here, she told writer-director Michael Feeney Callan, who documented her home life in his television series, My Riviera, through deprivation and poverty, she developed a lifelong obsession with shoes: "We were poor, we had nothing, so shoes became a symbol of freedom." After the war, Régine became a torch singer and by 1953 was a well-known nightclub manager in Paris. 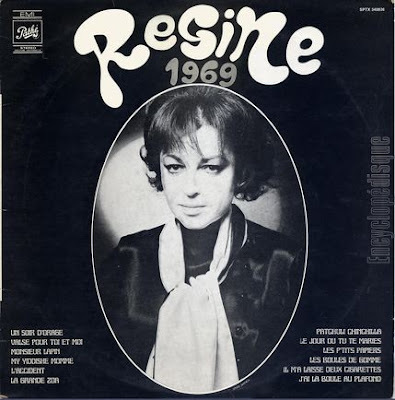 She is widely attributed with the invention of the modern-day discothèque, by virtue of creating a new, dynamic atmosphere at Paris' Whisky à Gogo, with the ubiquitous jukebox replaced by disc jockeys utilising linked turntables. 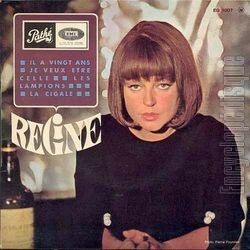 In 1957, she opened Chez Régine in the Latin Quarter, which quickly became the place to be seen for playboys and princes. As Régine's celebrity expanded she established other venues under the name Chez Régine's in London, New York, Monte Carlo and elsewhere. These were ultra selective venues in prime urban locations, all featuring her signature "disco-style" layout. 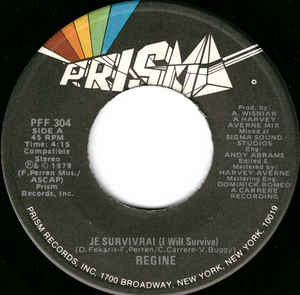 It is commonly accepted that Régine's Paris Whisky à Gogo became the inspiration for the later establishment of the Whisky a Go Go nightclub in Los Angeles. Her two attempts at opening clubs in London both failed within months and she blamed this on what she called the British "lack of style". She also established Jimmy'z, a nightclub in Monaco, in 1974. 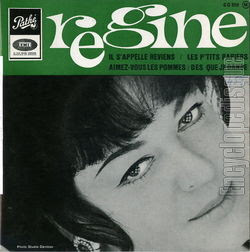 Aside from inventing the discothèque concept, Régine introduced France to the Twist, having seen the Paris cast of West Side Story warming up to Chubby Checker records. Thereafter, she famously taught public figures, like the Duke of Windsor, to do the Twist. Her circle of celebrity friends was large and for more than a decade she presided over an ever-growing multimillion-dollar international nightclub empire. 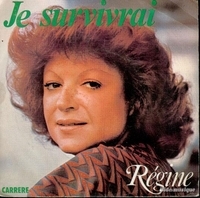 She was fêted in the French media particularly and paralleled her business life with a career in performance, scoring a notable hit single with the French version of Gloria Gaynor's "I Will Survive". Through the 1970s, she also appeared in small roles in a number of French films. During the expansion of her business empire in the 1970s, Régine moved to New York and lived in a suite of the Delmonico Hotel where she opened one of her clubs on the ground floor of the hotel. The club served food under the direction of French chef Michel Guerard. At this time there were 25 clubs bearing her name across three continents and it was said you could party at a Régine's somewhere in the world 17 hours out of every 24. In the 1970s, she designed a line of packable, unwrinkable evening clothes that were "Ready-to-Dance" which were sold at Bloomingdale's.. In 1988, she was in charge of the famous Ledoyen Restaurant on the Champs Elysées in Paris. A feisty and outspoken person by nature, in 1996 Régine and her son were arrested for refusing to comply with crew requests and smoking on an American Airlines flight. It was alleged that, though she was travelling economy, Régine had demanded a first class upgrade, which the airline declined.